Bakery packaging boxes are used by bakers to display or deliver their bakery items. Bakers are the most innovative people as they use traditional and modern techniques to win the hearts of people by filling their basic need: food. Bakery business, therefore, is full of fun. However, the competition is also quite fierce in the niche as research shows the bakery business has become a household thing for many. Simply because people love baking. As a result, the need for custom bakery boxes is also on the rise. 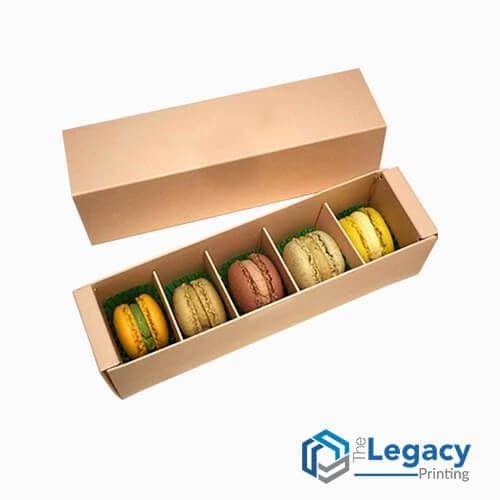 Custom bakery packaging includes pastry boxes, cupcake boxes, macron boxes, cake boxes, etc. Besides this, there are several other types of bakery boxes such as pastry carry box, window cake box, and one piece donut box. The best thing about a bakery box is it can be manufactured in various shapes, sizes, and colors. You can even use different ribbons to make a flower on the bakery box but it all depends on the individual purchasing it. A professional baker who is into bakery business prefers custom printed bakery boxes with logo because it gives their business and brand a unique identity. Having custom bakery packaging with your logo has countless benefits and free promotion is one of the many. That is why more and more bakers are now using personalized bakery boxes. And top packaging companies like The Legacy Printing is leading the path by fulfilling this demand with prompt delivery. The high-quality material and printing of our bakery boxes are hard to imitate as our skilled workers strictly maintain the standards. The sturdy construction of the boxes keep your bakery items safe during transit and are easy to unload. 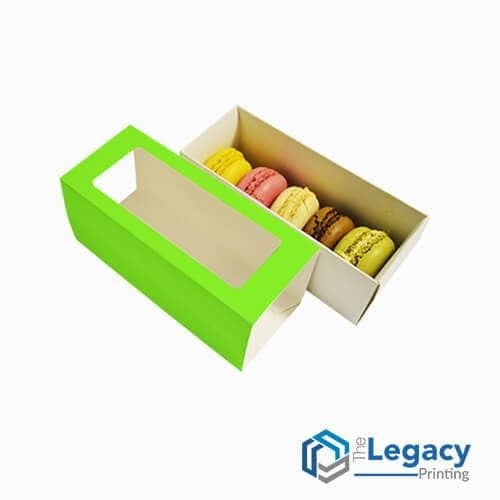 Choose a box that best meets your needs and share the details with The Legacy Printing. We will ensure to deliver the finest quality at a very competitive price. Because unlike the competition we manufacture and print all the boxes at our state-of-the-art in-house facility. The skilled labor at the facility holds a unique record of consistently meeting the needs of our customers. So whether you need a red grid pattern, window or without window boxes, we have the expertise to meet your needs. On top of it, you get to enjoy first-class customer support and FREE shipping service. You can also connect with our expert designers to gain help in designing your personalized bakery packaging.